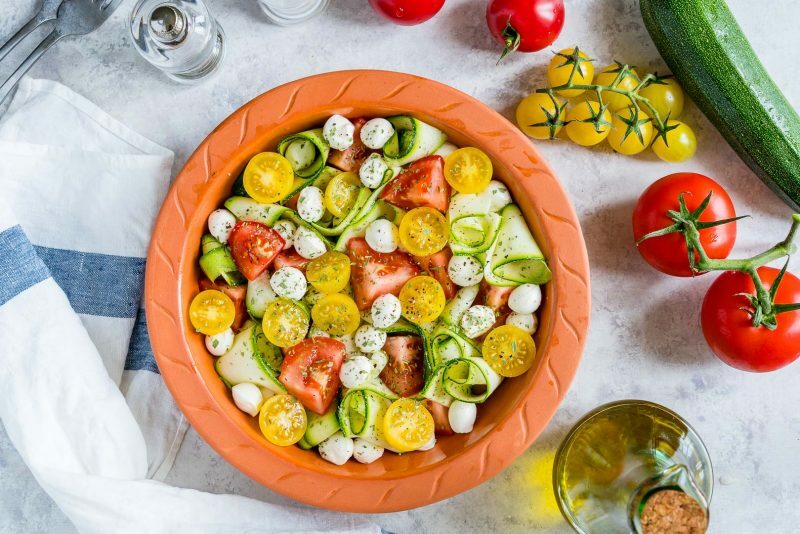 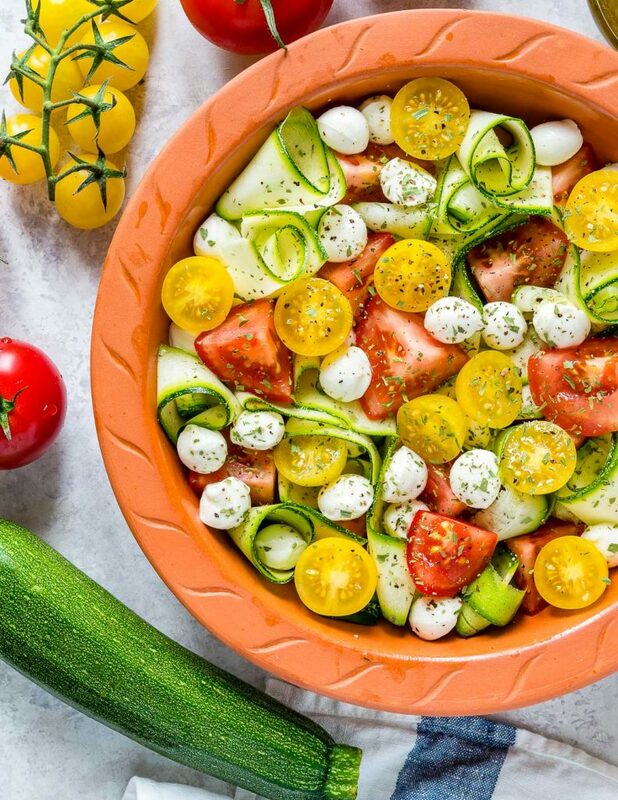 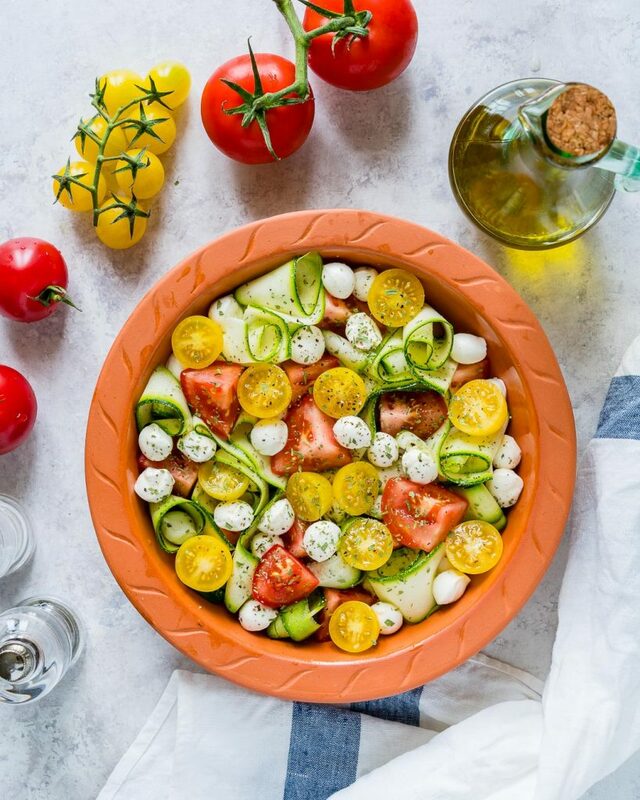 Fresh Summertime Zucchini Caprese is Perfect for Your Clean Eating Goals! 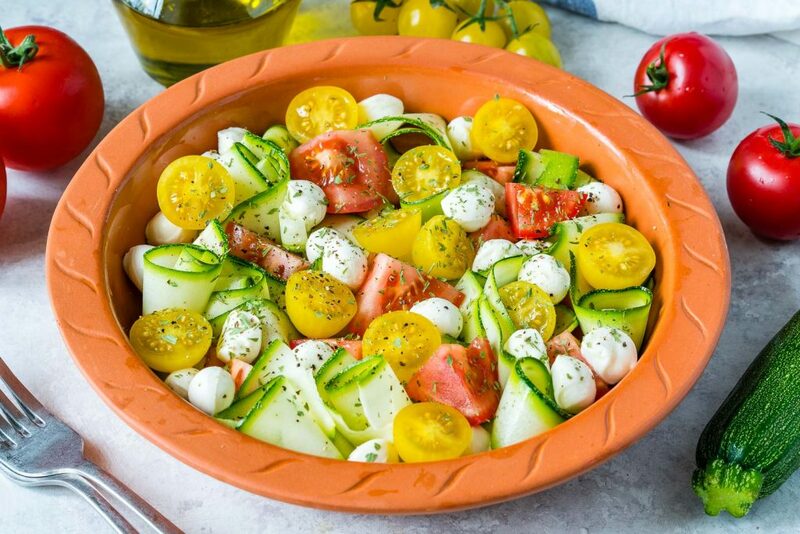 Arrange all the vegetables and cheese on a serving dish, sprinkle over dried basil, the sea salt and black pepper. 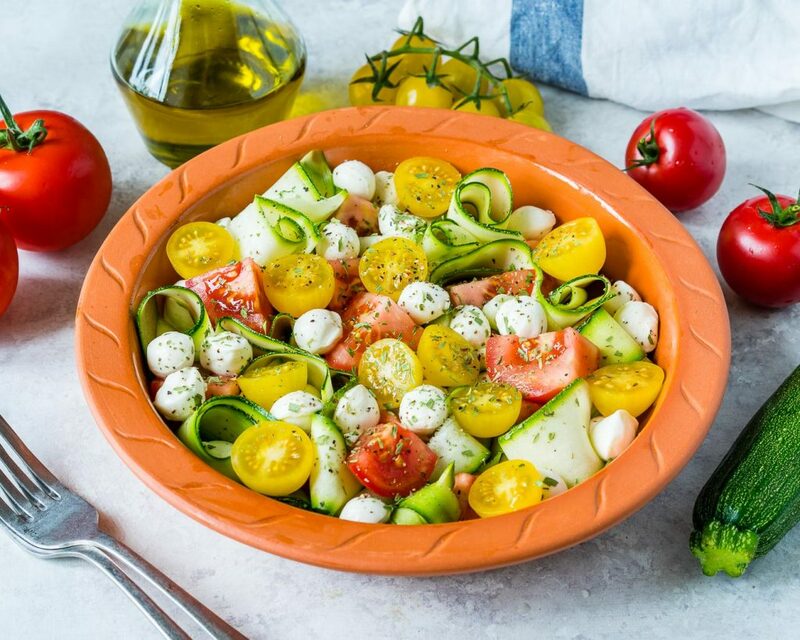 Pour over oil and vinegar, then toss gently to combine.